Áine was the wife of Laoghaire Lorc, the high king of Ireland. When her husband was killed by his jealous brother, Áine protected her young son, and raised him to be a great king. Laoghaire Lorc was high king of Ireland. His brother Cobhthach was jealous, and killed him. He then poisoned Laoghaire’s son, Aillil. He saw Aillil’s young son Labhraidh as being no threat, and showed his control over the child by gruesomely feeding him the heart of his father and his grandfather. Labhraidh’s mother, Áine, was made to watch while this occurred, held by two strong men to prevent her from doing anything to help her son. She was broken hearted, and the child was so traumatised by this incident that he was struck dumb. She then cherished her dumb child, making sure that he received an education fit for a king, and also making sure that nobody discounted him as a person because of his affliction. He became so learned under her attentions that he became known as “Labhraidh Ollamh”. Eventually, as he grew older, he got over the trauma and began to speak again. Cobhthach was jealous of Labhraidh, as he was perceived to be more generous than Cobhthach. And now that speech had returned to him, and that he was an educated man, Cobhthach began to realise that Labhraidh might be a threat to him. Áine advised him to go into exile until he was ready to come back. When he was old enough to seek revenge, he attacked Lenister and won. He then sent a message to Cobhthach telling him that he would be satisfied with the kingship of Leinster, and invited Cobhthach to a feast. The feast was to be held in a magnificent building made entirely of iron. Cobhthach did not trust Labhraidh and decided to bring with him his entire armed retinue. When he arrived for the feast he was suspicious, and refused to enter. He sent in half his men, and when nothing happened to them, he was somewhat mollified. Áine saw that he was still reluctant to enter the building, and realized that her son’s plan was about to fall apart. She decided to take matters into her own hands. She whispered to her son “I am nearly dead anyway, regain your honour though me”, and walked straight into the building before he could stop her. Seeing this, Cobhthach believed it was safe to enter. As soon as the last man stepped inside Labhraidh closed the great iron doors, fastened great chains around the entire building and, weeping for his mother, placed faggots all around the building to be set alight. The burning faggots transformed the building into a giant oven. Áine died exultantly, knowing that her husband had been avenged, and that her son had achieved the birthright of which he had been robbed. 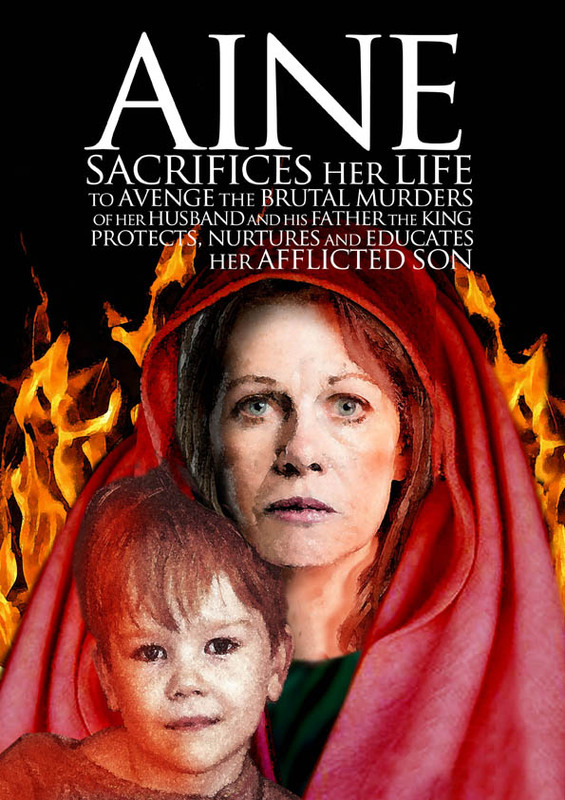 Áine was an extraordinarily strong figure, who survived the death of her husband, protected and raised her son to be a formidable and worthy king, and ultimately had her revenge on the man who had devastated her family.